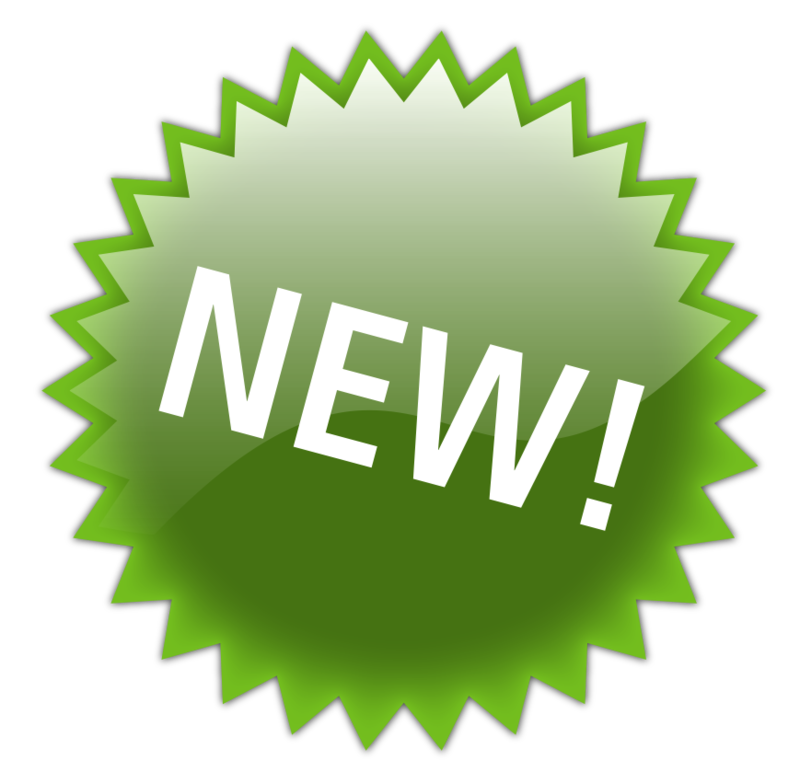 New boilers and water heaters supplied by A.O. 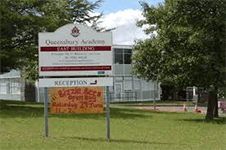 Smith have helped reduce fuel bills by up to 25% at Queensbury Academy in Dunstable. Seven Upsilon boilers and two high efficiency BFC water heaters were installed as part of a refurbishment program at the school which has almost 1,200 students. The school occupies two main buildings, and upgrading the facilities in the west block of the school resulted in a considerable reduction in gas usage compared with the east block. 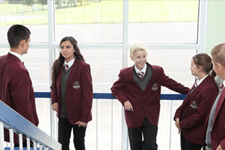 The system was specifically to deliver cost savings for the school. In the boiler house serving the gymnasium area Luke Biswell from CME Heating installed an A.O. Smith Upsilon 70kW model and a gas fired BFC water heater. 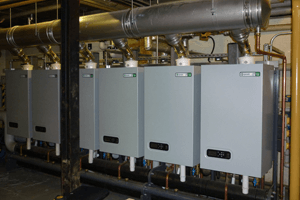 The old system in the west block of the school dated from 1992 consisted of six boilers split into three systems with two boilers per zone and a direct fired water heater. Luke Biswell replaced these with six new Upsilon 140kW models on a common header with modulating valves to each zone. As well as being easy to install these take up less than half the space of the old system. A further BFC 60 water heater from A. O. Smith completed the system in the main block.